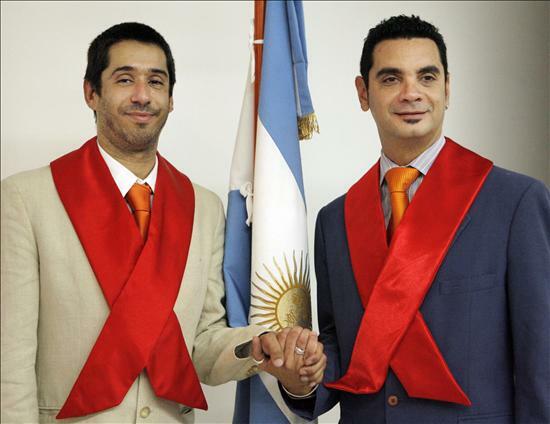 After voting and passing a law this week, Argentina has become the first Latin American country to legalize gay marriage. “The government always passes controversial laws during the World Cup, because no one is paying attention.” One of my students told me this morning. From my perspective, people were paying attention. Large groups both for and against the new law gathered together on Thursday night to rally or protest in front of Congress. With the large influence of the Catholic Church, it is not surprising that there was strong opposition to the bill. Supporters of the bill stressed the importance of minorities’ rights for the maintenance of a true democracy. Many Argentines that I spoke with expressed not having a problem with gay love, but oppose adoption rights for gay couples, which is permitted by the new law. Although I haven’t felt a strong presence of a gay community (something that I miss from Seattle) Buenos Aires does have an international reputation as a gay friendly city. Specialty tours are marketed specifically towards gay tourists, and the city boasts many GLBT friendly bars, clubs, restaurants and hotels. They are straight friendly too.